With thousands of zombies lurking all around, you're gonna have some gore and sheer terror. Dawn of the Dead follows four people who have locked themselves inside a shopping mall to avoid being eaten by the reanimated dead. They helped themselves to whatever they find lying all around while trying to keep the vicious zombies at bay. Dawn of the Dead is filled with zombie chases. 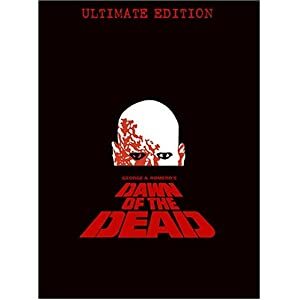 And writer/director George A. Romero also made sure that there is a good story that will keep you interested in watching. The main characters have some depth, and the plot is interesting. This is a classic fright fest.